IASA (Irish Aviation Students Association) is a not for profit organisation, under the full control of a student body. IASA’s main purpose is to connect aviation-passionate students with the Industry, and to discover and develop opportunities that will shape the future of aviation in Ireland and beyond. The Career Expo is an annual networking and career event. 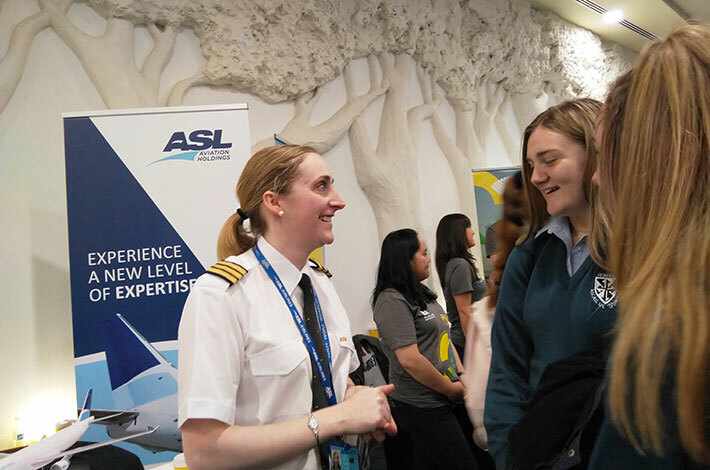 This one-day event is aimed at promoting career opportunities in all aspects of the airline industry. It provided a space for aviation students and professionals to expand their knowledge and network with the international aviation community. On the day, the company invited employee representatives along to share their experiences of working at ASLI. It was a worthwhile event and we look forward to attending in 2019.